Just when I was thinking "Hey it's been a while since Wine Spectator gave us a high QPR wine to chase after" they dropped a doozy on us yesterday. 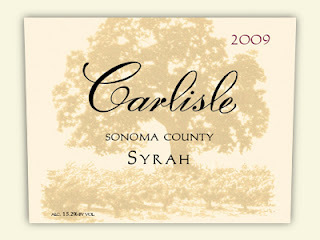 The 2009 Carlisle Sonoma County Syrah received a 97 point rating - and retails for just $25. Carlisle mailing list members were offered the wine for an even more incredible $19.50. Carlisle produces Zinfandel and red Rhone varietal wines out of Sonoma. They've been cranking out high QPR wines for a while now so the name is familiar to wine deal hounds. It's been a while since I fired up the wwpQPR calculator (what's that?) but I thought this might be the best QPR I've ever heard of. Using a baseline price of $30 (the point at which it is relatively easy to find 90 point domestic Syrah) the wwpQPR gives us a 6.05: Outstanding Value. I think that might indeed be the best value I've ever heard of. Well, that's the problem. With only 391 cases produced and a faithful mailing list that's been wise to their reasonably priced high quality wines for a while, this one is going to be tough. A quick wine-searcher.com search turns up a few retailers that claimed to have had it for $25 or under -- but when you click through it's all sold out. Based on past experience with wines like these, we'll see the wine quickly evaporate at retail especially under $40. The wine will be available at high mark-up at some retailers and will be available on auction sites for $50 and up. At that point, it kind of wrecks the QPR. At $50 it's a 3.02 on the wwpQPR: Very Good. Still a nice value but not one to break your neck over. Jump on their mailing list. The pattern is clear with Carlisle - they're producing wines attaining incredibly high scores and they're holding the line on price. Sounds like the perfect mailing list to be a part of. Be prepared for a wait: I signed up a few years ago and haven't gotten an allocation. Next, scour around wine-searcher looking for back vintages and other bottlings from Carlisle. This bodes well for their 2009 offerings and I hear their 2006s were also amazing. 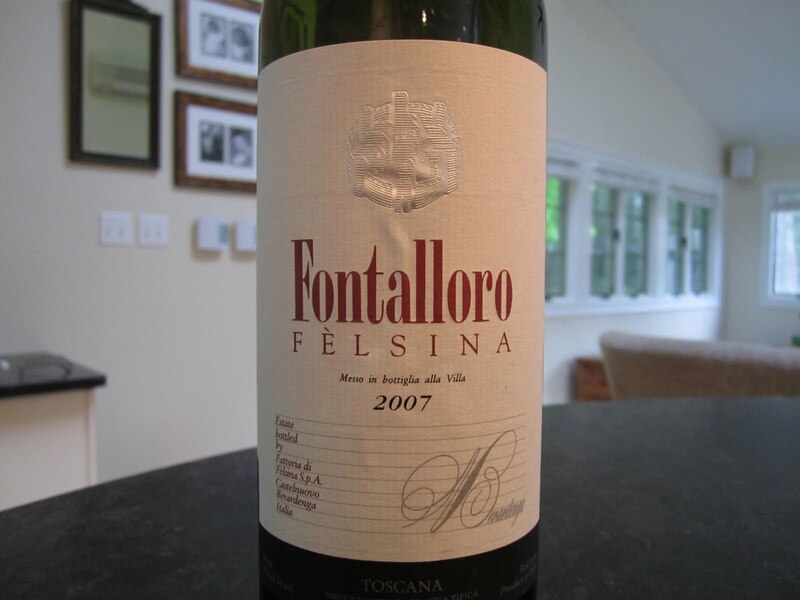 It's interesting to watch the CellarTracker reviews come in for a wine like this. Prior to the Spectator rating coming out yesterday, the ratings are about what you'd expect for a $25 wine from Carlisle: 90-93 points. A note published yesterday after the Spectator rating came out? 95 points. I've discussed this pheonomenon with friends before -- how CellarTracker is an excellent resource to consult when deciding whether to take advantage of a wine deal. But there is often a high rating/price correlation on CellarTracker since most regular wine enthusiasts like us taste non-blind. 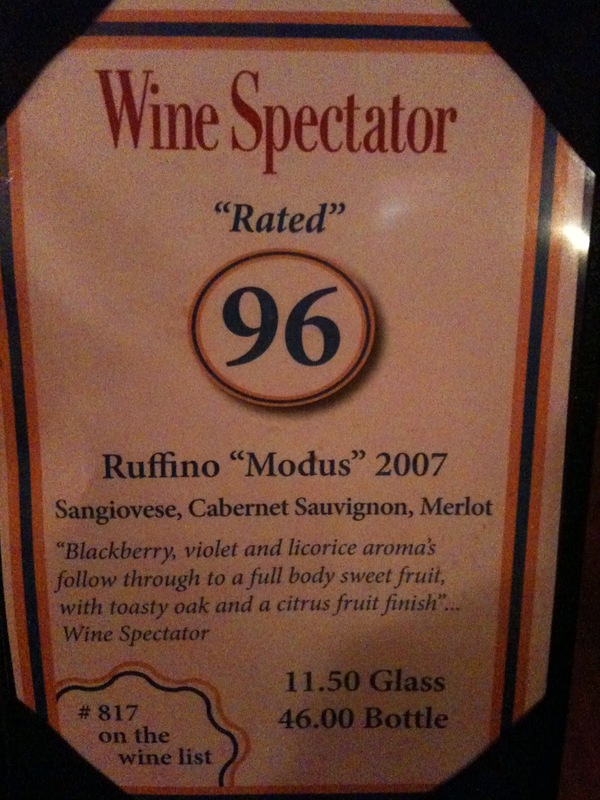 Throw in a little 97-point Wine Spectator bias and it often pulls the CellarTracker ratings up a bit. Definitely a topic for further discussion. I'd love it if you subscribed to the site so we can continue the conversation. And consider subscribing to Wine Spectator. You can even use airline miles if you'd like. 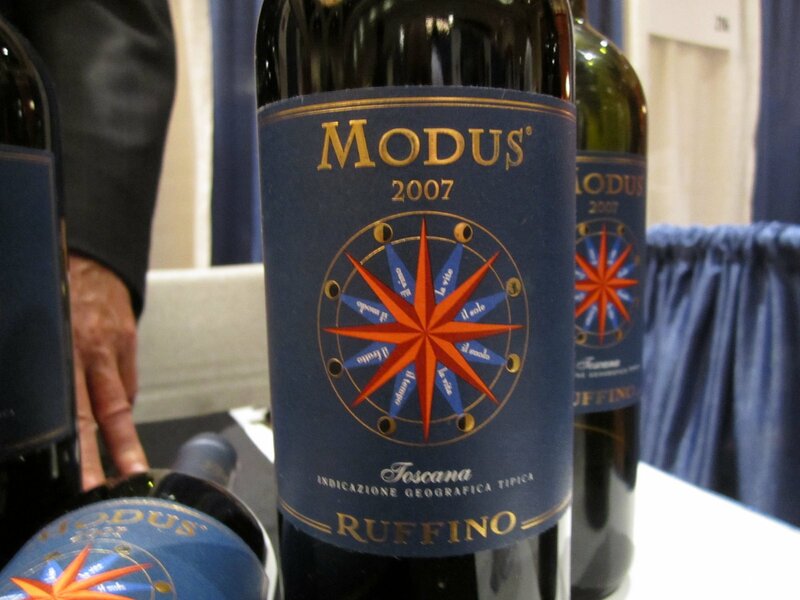 Question of the Day: Have you seen this wine available at retail? Any tips for buying this wine or similar offerings from Carlisle in the open market? It's been a while since I've done a mystery shopper style review of a wine shop, but a recent trip to Long Island gave me an opportunity to visit Grapes The Wine Company in White Plains, NY on the way back to Boston. Wine retail tourism - I guess that's what you do when your interest in wine shopping borders on an obsession? I never know what to expect when visiting a retailer like this. After a couple years on their email list I kind of formulated an image in my head that the store would somehow align with the tone of the emails owner Daniel Posner sends out. I've never met him in person -- he was out of town the weekend I visited -- but I think I first became familiar with Daniel for being banned from the eRobertParker forums (something about questioning their authority on Australian wines was it?). His emails offer high end wines at deep discount, usually after opening thoughts about a regional sports event. Emphasis is achieved through the use of bold, italics, and red letters. Some of the best deals are bluntly labeled CLOSEOUTS!! or DUMP!. Love him or hate him, you've got to give him credit for being direct. I wasn't sure what to expect in terms of on-the-shelf offerings at Grapes. What I found was a thoughtful selection of wines chosen from the important categories you'd likely want to stock a cellar with. 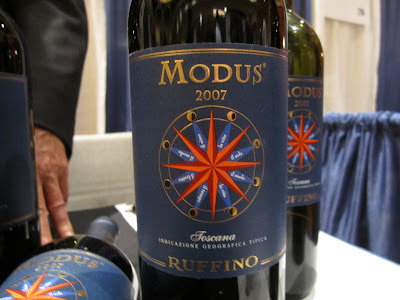 Domestic Cabernet and Pinot Noir, Italy, and France were each well represented, displayed in single-facings with reserve inventory behind each bottle. There were a good number of wines I associate with mailing lists (like the 2009 Bedrock Heirloom Dolinsek Ranch for example) that I've never seen on retailer shelves in Massachusetts. And a smart assortment of imports as well. I picked up a couple Pinot Noirs - the 2009 Chasseur Sonoma County for $32.99 and a 2008 Joseph Swan Cuvee Trois for $34.99. Not the most amazing pricing in the world but I can't find these wines in Massachusetts and if I had built up a mixed half or full case I could have had 10% or 15% off. While I was shopping I was asked a couple times whether I needed help finding anything. I declined - not because I don't think the help would have been valuable but because I don't need any more reasons to buy wine. To me a store like this succeeds by keeping its customers out of trouble. There's no "fat" to the assortment. Every wine they stock has been vetted and it's hard to go wrong - an impressive accomplishment with about 2,000 unique wines for sale. 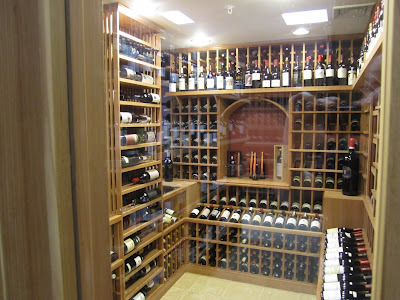 I had a look inside their temperature controlled area where they have some truly serious, bank account breaking wines. The picture of Daniel on their website has him standing in this room and I somehow thought the place would be smaller based on that picture. As if this were the entire store or something. This was just a small portion of the store however - I understand they have upstairs and basement areas used for climate controlled storage. About 20% of the store is dedicated to daily drinkers and deals. I spotted what appeared to be a few remnants from recent email offers. The store was tidy with hardly any indication of the direct shipment business they conduct. If I happened upon the store by chance I don't think I would have had any clue they do a lot of direct shipment business. Even if they can't ship to your state I recommend jumping on their daily newsletter. They're entertaining and offer good insight into why direct retailer shipment is something wine enthusiasts everywhere should be behind. Daniel has done as much as any retailer I've seen to support the direct shipment of wine and for that he should be commended. If you're passing through the New York area I think you'd enjoy stopping in for a visit. Check out their inventory online to get a feel for their assortment. 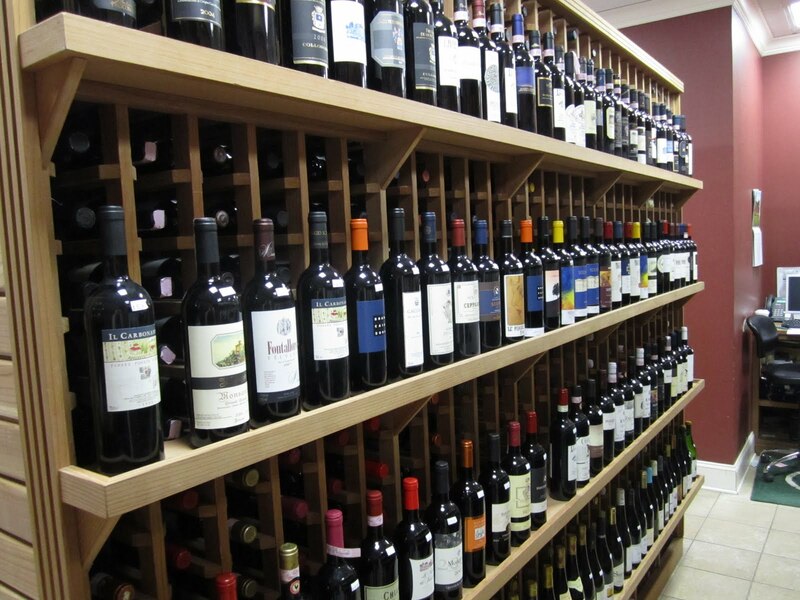 Question of the Day: Have you been to Grapes The Wine Company? If so, what did you think? 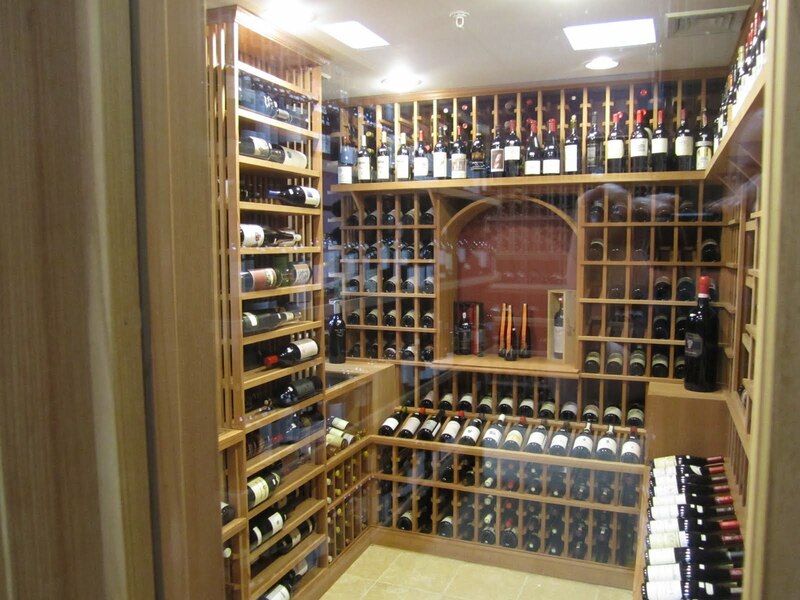 Either way, what's another wine store that's worthy of a little wine retail tourism? Sorry if this one is gone before you read this, but Last Bottle has the 2008 Rhys Alesia Sonoma Coast Pinot Noir for $39/btl with free shipping on 4 bottles. Here are my thoughts on this wine from last month. I think it's a beautiful wine. I can't seem to keep enough high quality California Pinot Noir on hand and this one falls firmly within that category. It's interesting to see a wine of this caliber on a flash sale site but it bodes well for Last Bottle. I like the wines they're sourcing so far. If you're subscribed to the WWP via E-mail and want more timely updates might I suggest you follow me on Twitter (@RobertDwyer) or Like the WWP on Facebook? Gotta keep in touch on the deals you know? We got together with friends last night for one of my favorite traditions: Friday night pizza night with really nice wine. While some see pizza-pairing as suited for simple wines, I see it as an opportunity for a low-fuss meal at the end of the work week and a chance to let the wines shine. This week we ordered from Old School Pizza in Wellesley (review). A while back, a friend introduced me to the 2006 Felsina Fontalloro. I was really impressed with the wine's versatile personality. It's elegant and plays well in a sit down situation, but it's got this incredible fruit-driven nose that's so friendly and appealing. It's hard not to like. After tasting the 2006 I added it to my shopping list but never saw it come up at a price I couldn't refuse. Fortunately (especially lately it seems) there's always another great vintage right around the corner: The 2007 is even better. The 2007 is young at this point, but like all great wines it's still enjoyable even if it hasn't fully come together. It's as if the wine is deconstructed into individual components and it's easier to understand now than it will be in a few years. Like watching a golfer's swing in slow motion. The initial aromas are beautiful sweet fruit. I love the mouthfeel of this wine - it's rich and satisfying but not heavy. Acidity reveals itself on the sides of the tongue. Earthy/leathery flavors. Beautiful finish. So well put together. It's readily available for around $45 at retail and for as much as I've bashed Italy as being a tough category for value, this wine makes me rethink that sentiment. There are gads of wines in Napa Valley that have no problems declaring themselves value plays north of $50. I highly recommend this wine and would love to find more wines like it. Let me know in the comments if you have some similar value plays you'd like to share. A beautifully put together wine that makes me think twice before paying $50+ for domestic wine. Such fresh vibrant fruit on the nose combined with ample acidity, earth and overall balance and deliciousness - this is really a tremendous achievement for a little over $40. Extremely highly recommended. Question of the Day: Have you had this wine or prior vintages? What are some other value plays in this category you'd recommend? Is the 2009 Belle Glos Meiomi as Good as the 2008? Get 50% off shipping when you purchase six or more bottles of French wine with promo code "drink84"
No, it's not. 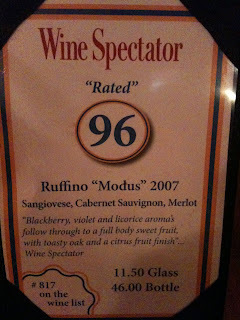 At least not for me, of the three bottles of the 09 I've tasted and compared to the eight bottles of the 08 I've tasted. That said, it's still a good value in California Pinot Noir. The 09 is just lacking that little something extra the 08 had - and still has. I thought the 2008 was a 92 point wine and while the 2009 doesn't reach that same level of excitement for me, it is coming to market at very compelling prices. Whereas I'd never seen the 08 available for less than $19.99 I've seen the 09 for as little as $17.59 at Costco locations in Massachusetts and Arizona. This price adjustment could be related to an intentional decision Caymus Vineyards (Belle Glos is Caymus' Pinot Noir label) made to drop their wine prices in response to the economic downturn that began a couple years ago. Gotta love a company that has a sense for market trends and eases pricing a bit at just the right time. I've seen Caymus Special Selection drop from around $125 to $99 and Conundrum from $20 to $15. I haven't seen Caymus drop below $55 yet however - have you? I was very interested to try the 09 vintage of this wine after thoroughly enjoying the 08 (92 pts across a half-dozen bottles). The signature sweet spice is still there but I also get ample chimney smoke at Christmas. It's a little unusual - we'll see whether I sense it in future bottles. But I still think this is a solid wine. Will buy more for sure. Recommendation: If you see the 08 around buy it. 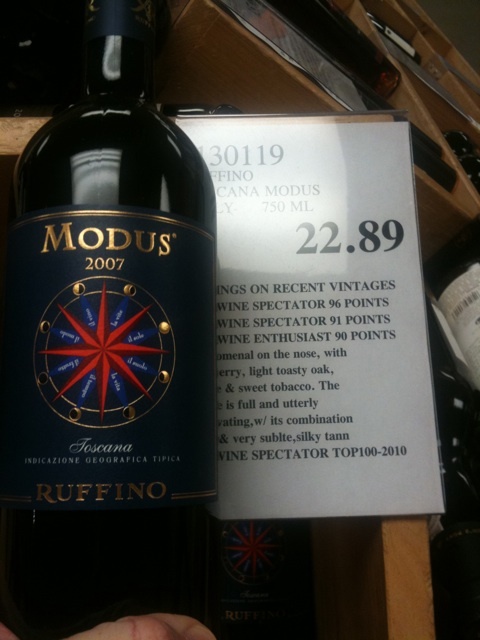 There's not much left in the market and the 09s are replacing the 08s at most all high volume retailers. 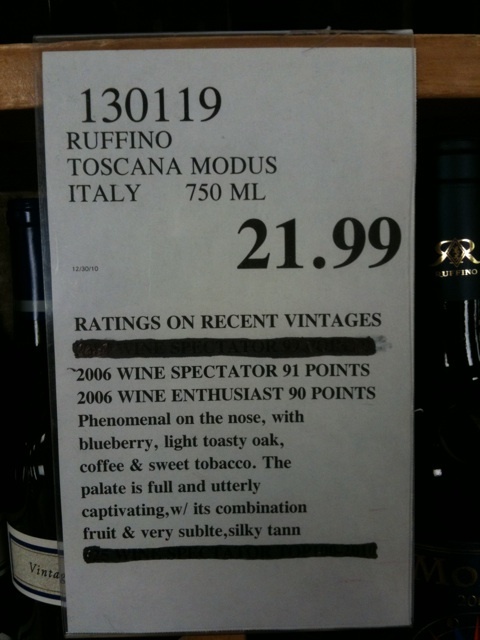 That said the 09 is still a pretty good play - especially south of $18. Question of the Day: What do you think? Is 2009 as good as the 2008? Everyone once in a while I get an E-mail I've been waiting a long time for and knock out a blog post immediately. Just now I received this press release from Free the Grapes about an important hearing this coming Tuesday in Massachusetts. MA HB 1029 would finally, mercifully, allow direct shipment of wine from out of state wineries to Massachusetts residents. WWP: What would you suggest MA wine consumers do to right now to help MA HB 1029 pass and allow direct shipment from out-of-state wineries to MA consumers? WWP: If the bill passes, how long until direct shipments become a reality? Free the Grapes: It’s too early to tell. Like in other states, the licensing parameters and common carrier approvals precede issuing winery licenses. To use Maryland as an example, the bill will be signed by the Governor next week on 5/10, but the comptroller’s office is prepping documents and regulations to meet the law’s effective date of 7/1/11. This is common. 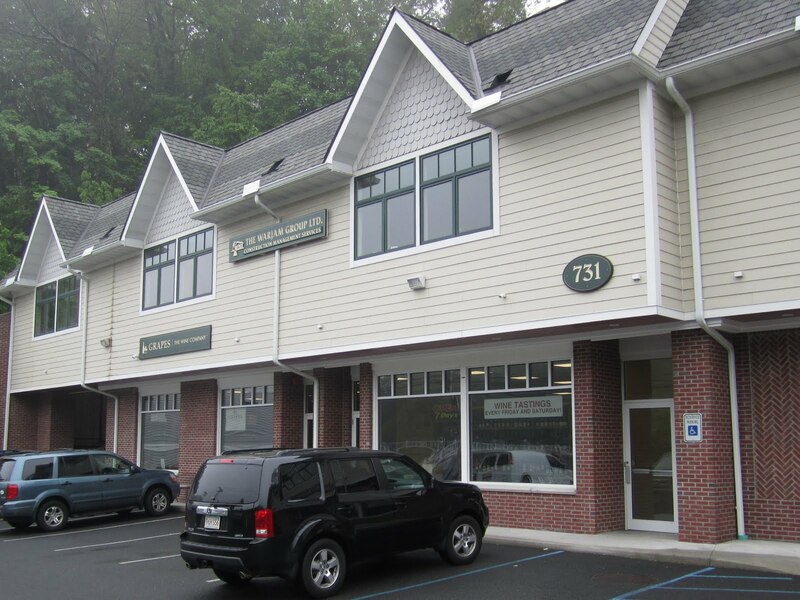 WWP: Would the bill allow direct shipments from out of state retailers to MA consumers? Free the Grapes: No. The bill allows for wine shipments from licensed wineries directly to Massachusetts consumers. HB 1029 conforms to the ruling Family Winemakers of California v. Jenkins, which was upheld by the 1st Circuit U.S. Court of Appeals in January 2010. The lawsuit successfully challenged a 2006 Massachusetts statute banning winery-to-consumer shipments from wineries and wine companies producing more than 30,000 gallons per year, and who retain a wholesaler. The 30,000 gallon capacity cap was ruled to be discriminatory and the legislature was tasked with developing a remedy. Introduced in February by Representative David M. Torrisi, HB 1029 is similar to the model direct shipping bill that is the foundation for statutes in the majority of U.S. states, providing legal, regulated direct shipping to consumers. Among other provisions, HB 1029 requires wineries to purchase a state-issued shipping license, to mark boxes as requiring an adult signature at delivery, and limits the quantity of wine shipped to individuals to 24 cases per year. The basis for HB 1029, the model direct shipping bill, was cited by the U.S. Supreme Court and supported by the Federal Trade Commission. Thirty-seven states and Washington D.C. – but not Massachusetts – allow licensed wineries to ship directly to consumers – those states account for 83% of US wine consumption. Massachusetts is the seventh largest wine consumption state in the U.S. however it is one of 17 states that continue to ban winery-to-consumer direct shipments. Maryland Governor O’Malley is scheduled to sign House and Senate Bills later this month to allow winery direct shipping, which will make Maryland the 38th state to allow winery direct shipping.